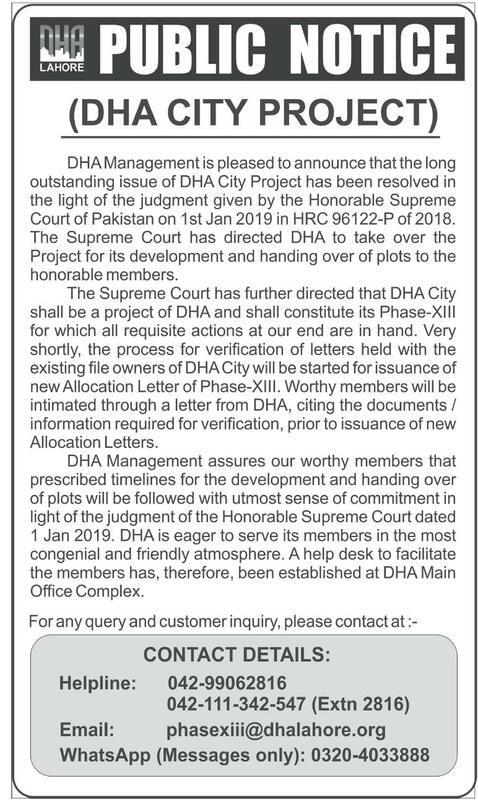 Public Notice DHA City Project Lahore February 2019. 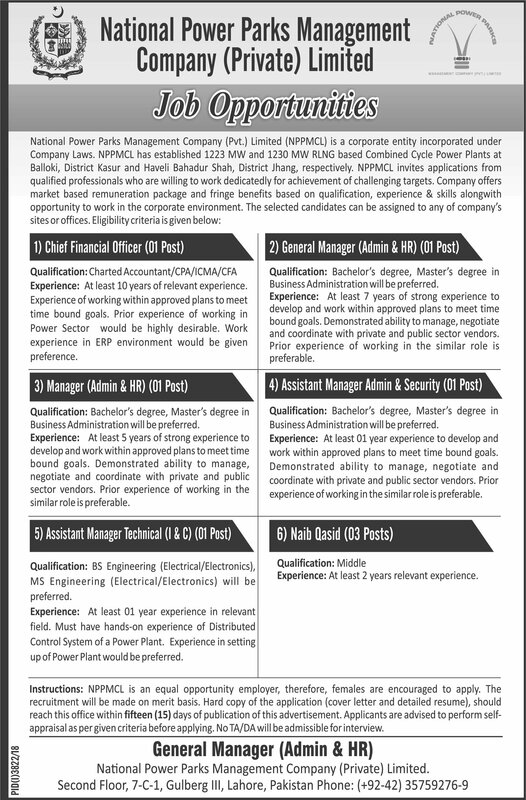 Jobs National Power Parks Management Co. Pvt. Ltd. Lahore Feb. 2019. 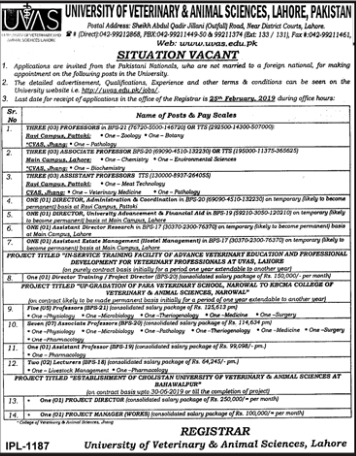 Jobs University of Veterinary & Animal Sciences Lahore February 2019.